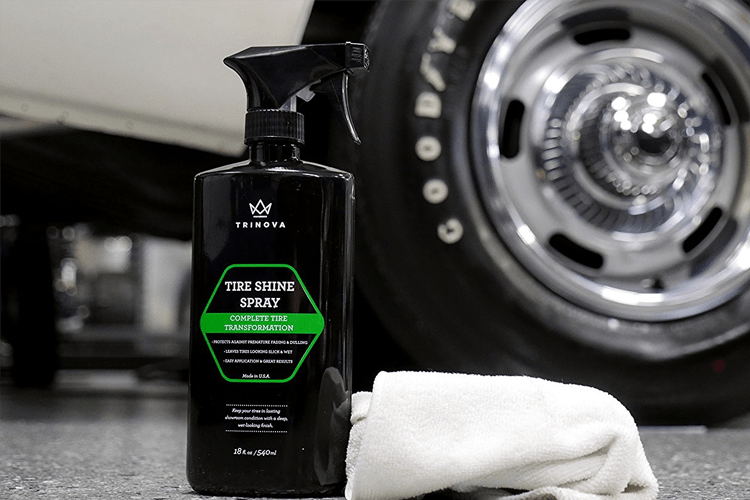 TriNova’s Tire Shine Spray is the easiest way to give your tires the dark and shiny look you want. Say goodbye to those faded and dusty tires and see the before and after results you want when it comes to restoring the wet and sleek look your tires had on the showroom. 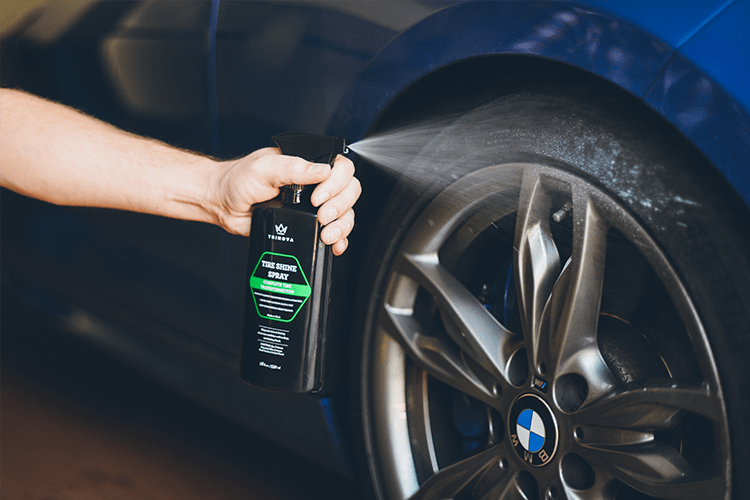 Not only will this spray give your tires the shine you’re looking for, it’ll also protect them from other deteriorating signs of aging. With just a single coating of this Tire Shine, your rubber tires will be guarded against fading, cracking, yellowing and more to ensure they look their best at all times. 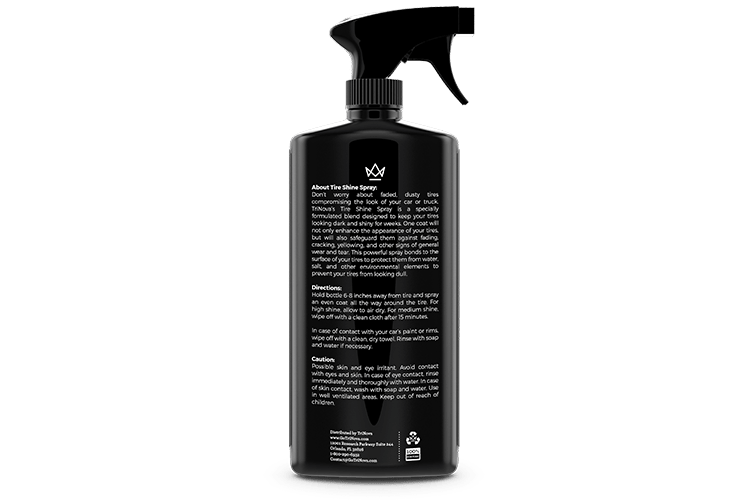 High shine, medium shine or low shine, with this spray you can achieve whichever level of shine you want. Doing so is easy: the longer you leave the spray on your tires, the more shine you’ll see when you wipe it off. 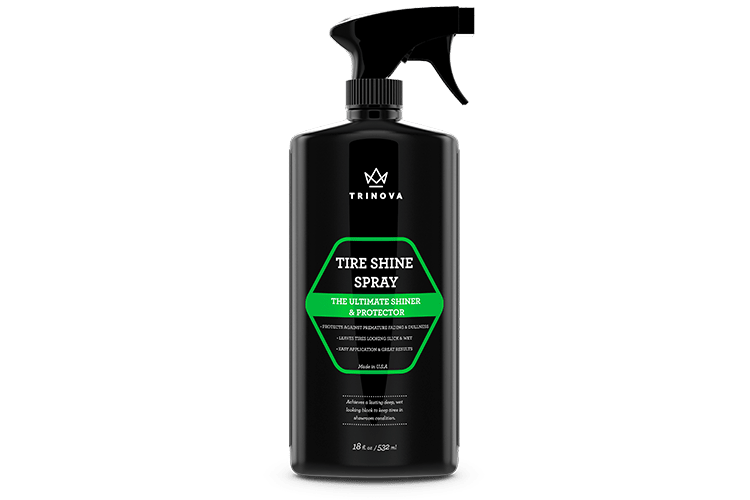 Unlike other shine sprays, you won’t have to apply TriNova’s Tire Shine Spray multiple times a week. With this product, your tires will get a gloss that lasts longer than that you’d get from any other product on the market. 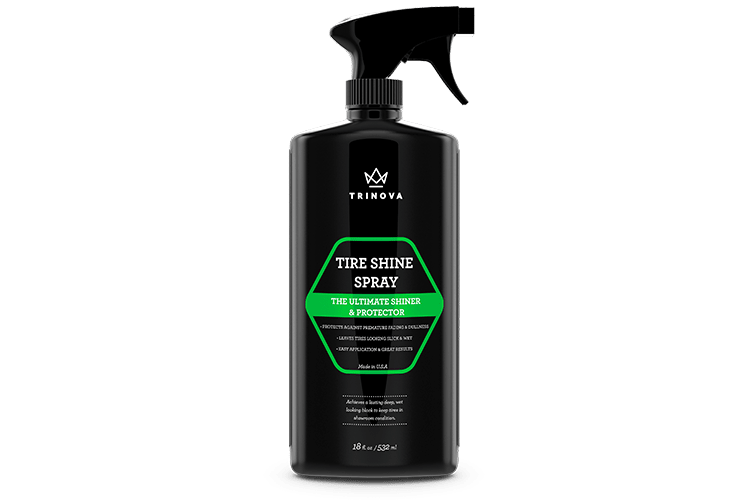 TriNova® Tire Shine Spray is rated 5.0 out of 5 by 5. Rated 5 out of 5 by David Maas from Finally the Best! I am 68 and have probably used every product on the market for my tires. Because I live in Palm Springs, CA, constant watering during the summer months really does a number on your tires. I have never had a product last as long as TriNova. Also, the color, and or shade of black it leaves on the tires are better looking than any product I have previously tried. 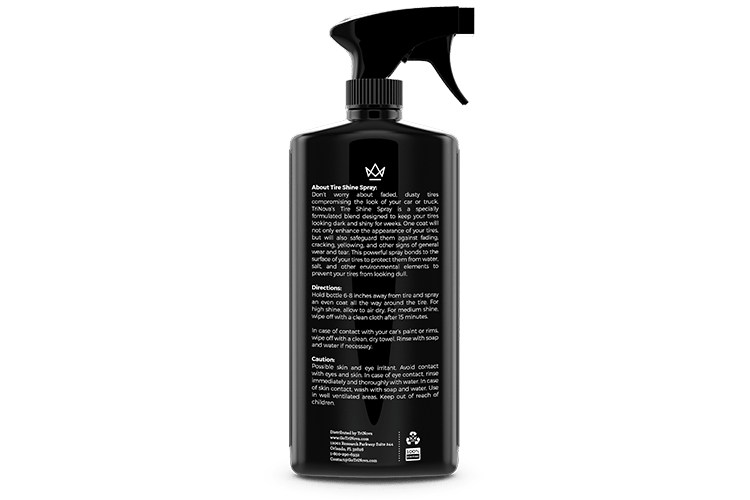 More importantly, it lasts and lasts during the hot scorching summer months, which can seriously effect the longevity of any product. Seriously, if you enjoy great looking tires that always look new, this is the product I would highly recommend. Rated 5 out of 5 by travashe from Best Tire Shine On The Market It's as simple as spray and let it dry to get the best shine on the market. For the best shine do not wipe the tire..spray and leave it alone to dry. If you let it dry for at least 30 minutes this stuff does not sling off and the shine lasts and lasts. I get a lot of compliments on my tires. Rated 5 out of 5 by K. Costa from Great Product I have several show cars, and have tried various tire products. 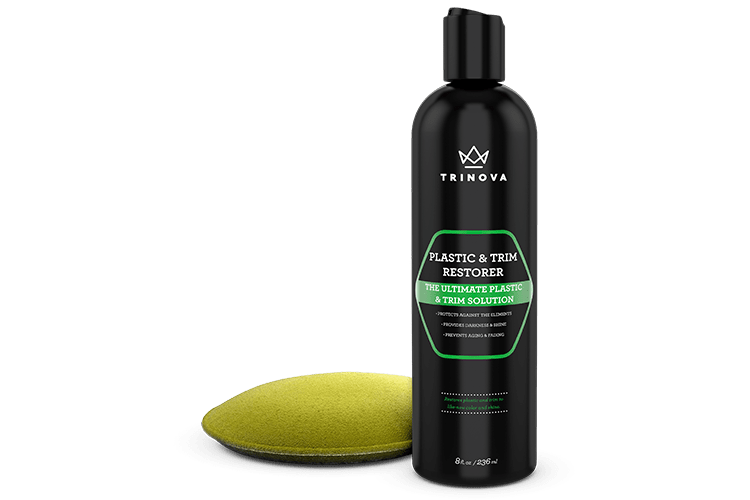 Trinova is head and shoulders above the rest. The tires after using this product the are not too shiny like other tire products. The tires have a new, natural black color. The tires look great, and it DOES repel dust and dirt, and lasts a long time. I would recommend this product to anyone that wants great looking tires. 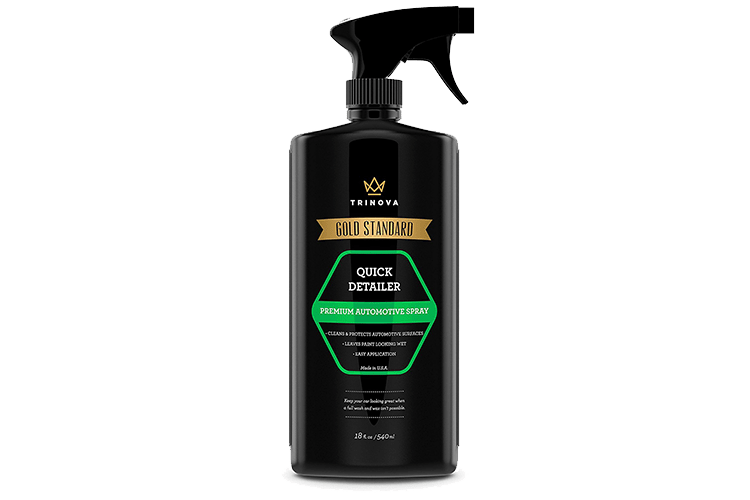 Rated 5 out of 5 by Adam R from Great product This tire spray goes on easy and leaves a show room shine if left on to dry. 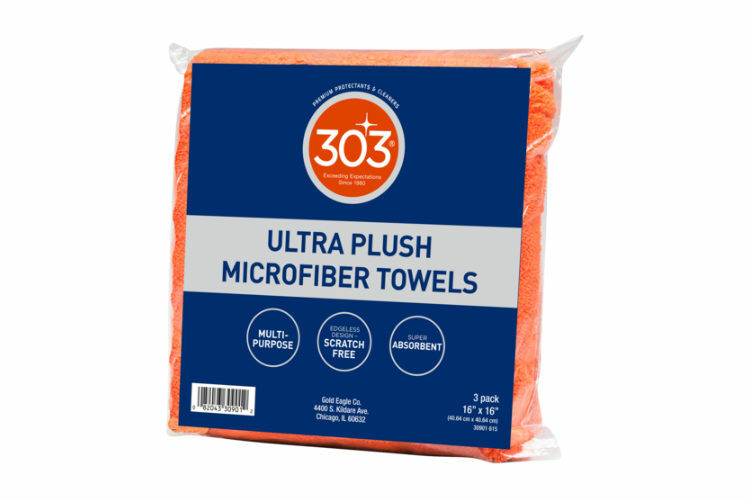 I will wait to see how long it lasts, but so far it is a great product. Rated 5 out of 5 by Randy from Shine Shine Shine This product does exactly what it says. By far the best. Follow the instructions and you will never use another tire shine again. I want more. ?